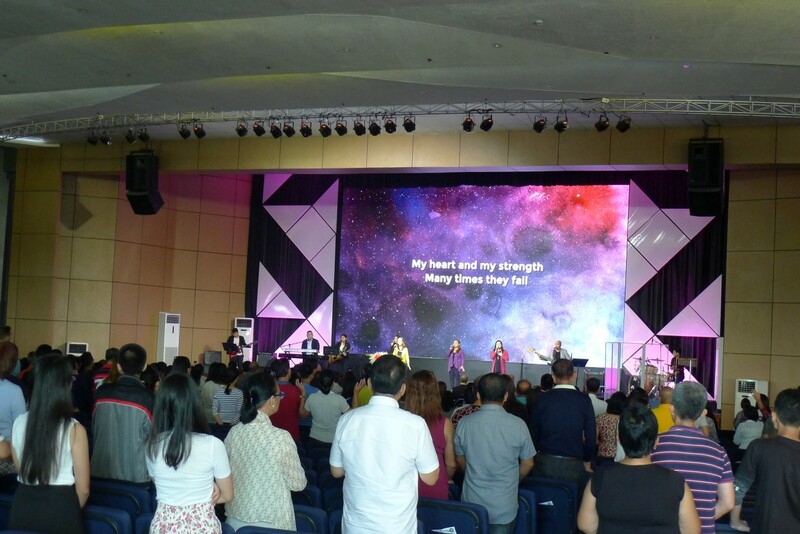 Living Word Christian Churches of Cebu International, Inc. (LWCCCII) is a corporation organised exclusively for spiritual and religious purposes. They are a family of churches founded and built on the gospel of Jesus Christ. 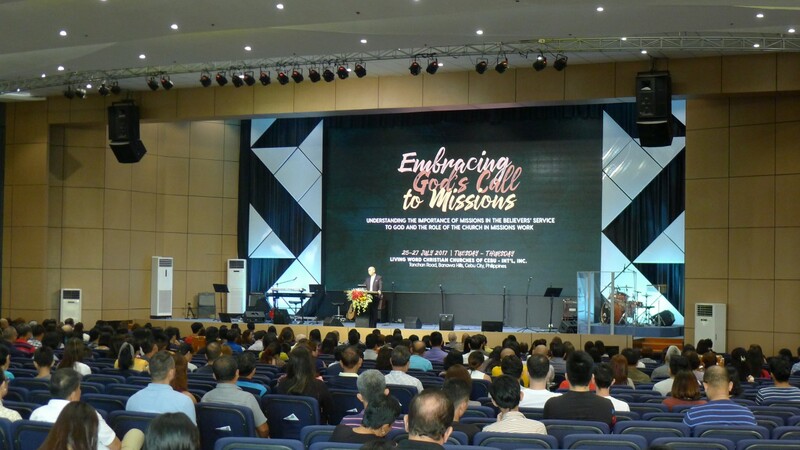 Currently there are 90 outreach churches throughout the Philippines and in some other parts of the world under the LWCCCII umbrella. 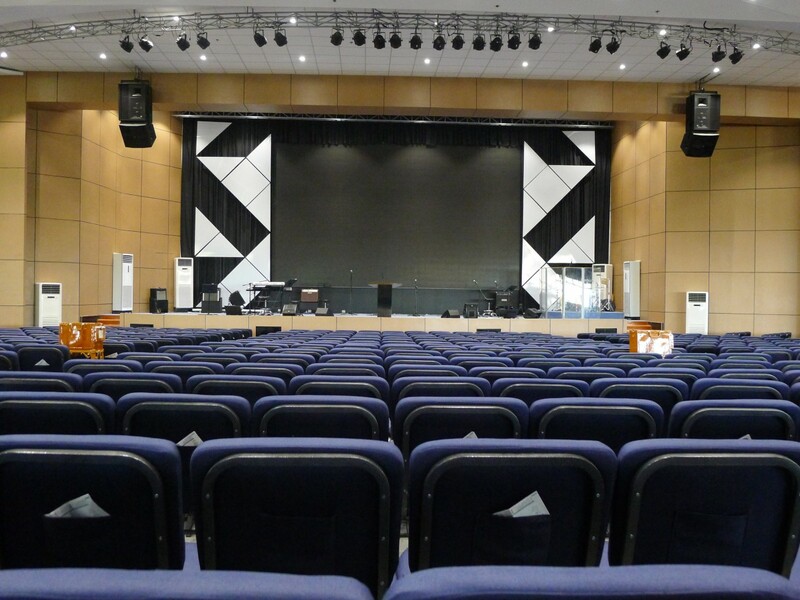 Living Word Christian Churches of Cebu International Inc. main church located in Cebu in the Philippines carried out an expansion last year of its existing building to cater to the growing congregation. The new sanctuary was built on the third floor of the building to accommodate 2500 worshippers. 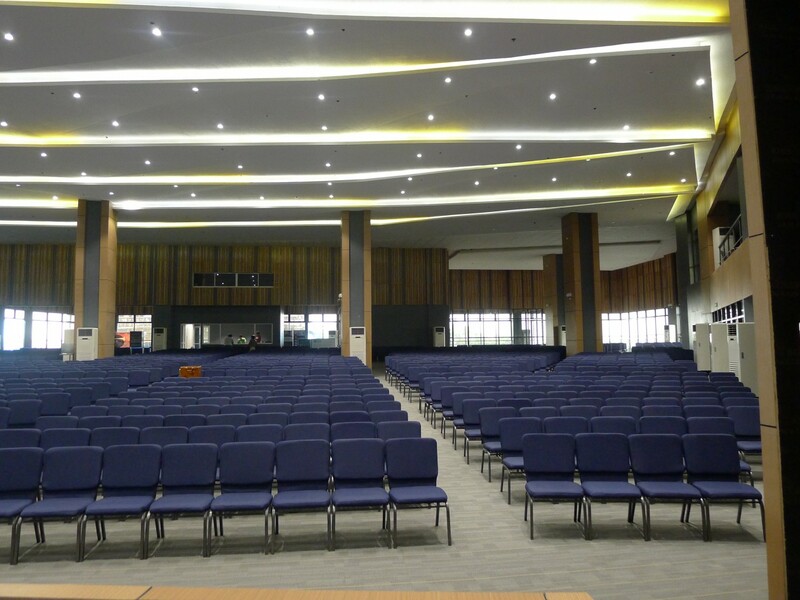 The church was keen to ensure that their new sanctuary will provide the right ambience for the congregation. One of their key objectives was to ensure wide clear dispersion of quality sound. The church formed a committee to look into a system that will meet their objectives. One of the brands that showed up for evaluation was KV2 Audio. The challenge was the building was an existing one which meant that structure wise, the audio system employed had to work within any constraints. Furthermore the church called in the sound system only after the structural work was confirmed. The new sanctuary was fan shaped and there were design elements for example like the ceiling with its wave like design that could not be touched. Regardless the demonstration by KV2 showcased to the church committee its ability to provide near perfect sound, which won them over. 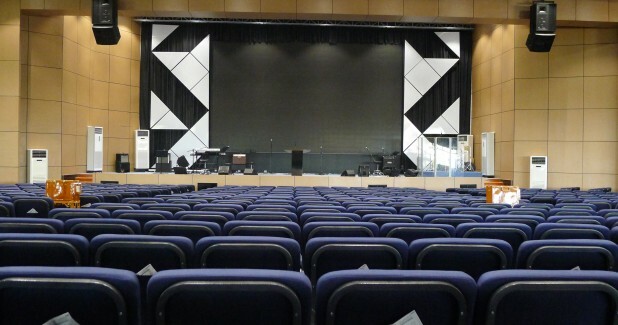 “Due to limitations on the structure of the truss, the VHD system was chosen because it provides huge cost savings in terms of size, weight as compared to the popular trend of line array technology and at the same time offers unparalleled quality, power, coverage and a new level of sound reproduction previously unheard of in large scale audio systems. 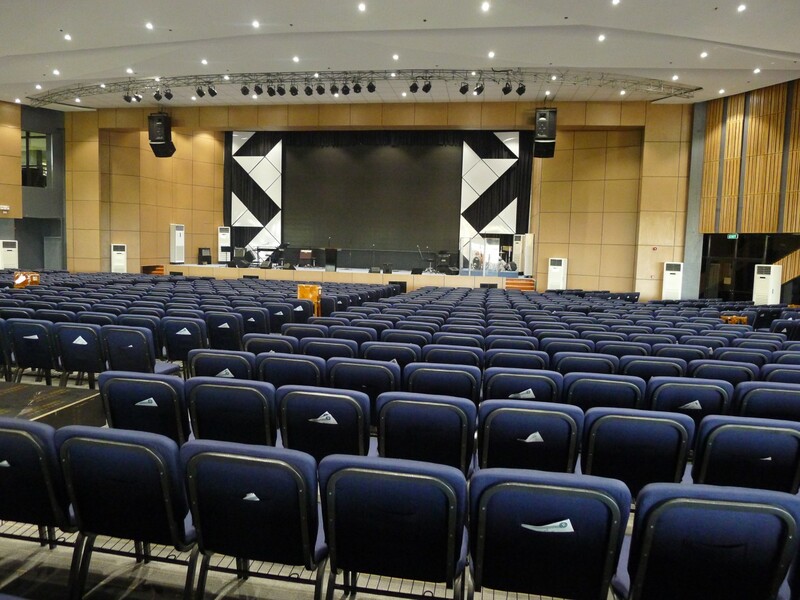 The VHD being an efficient system provides the High SPL while still providing superb clarity with NO Distortion,” said Mr Tony Kwan, Director of Montecruz Enterprises, Inc. who supplied and installed the KV2 Audio speakers. 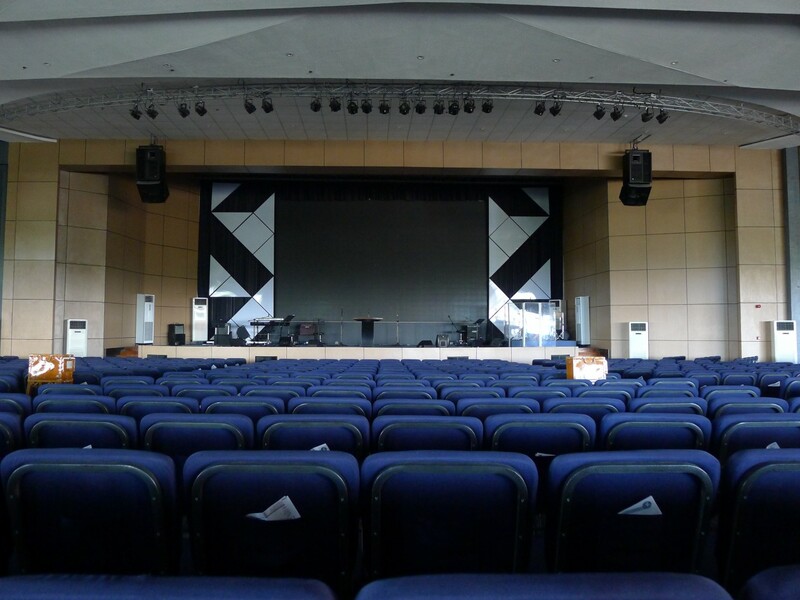 The speaker configuration for the sanctuary features a unit of KV2 VHD2.0 and a unit of KV2 VHD1.0 hung on the left and right of the stage as FOH speakers. The speakers are driven by 2 units of KV2 VHD2000 amplifiers. Complementing the FOH speakers are four units of KV2 VHD4.18 sub-woofers that have been placed below the stage and are driven by the KV2 VHD3200 amplifiers. Monitoring duties are handled by four units of KV2 ESM26 that are amplified via the KV2 ESP4000. Other accessories that complete the speaker solution includes 2 units of KV2 SAC2 and a unit of KV2 SDD3. The KV2 SAC2 is a 2 channel super analog controller. The ultimate advantage of using the SAC2 anywhere within the signal chain is the immediate improvement in definition, resolution and dynamic range. A musical four-band equaliser, allows for quickly shaping the sound, exactly as required without affecting the overall linear response. The two notch filters per output offer immediate control of dominant room resonances. The SDD3 is a digital delay unit that utilises KV2’s ground breaking 20MHz PDM digital conversion process developed for time alignment applications in their speaker range. The SDD3 has two super digital channels that will deliver up to 400 milliseconds of delay. 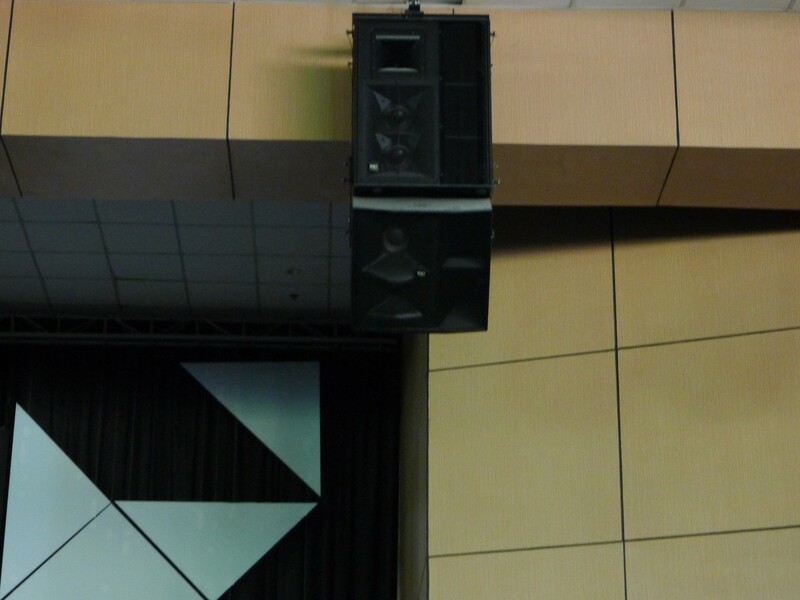 In this installation it has been used to delay the signal between the FOH and Sub speakers. 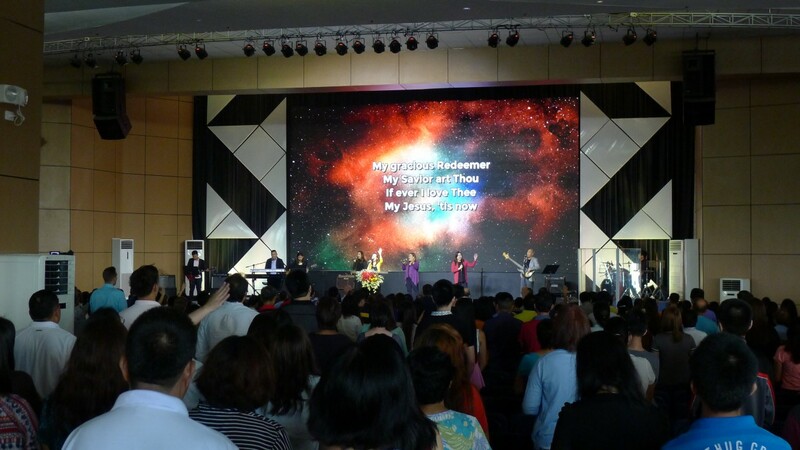 “With this unit, the audio reinforced offers a seamless experience to the congregation,” said Mr Koh Yock Kee, Director of Sindo Exports Pte Ltd. 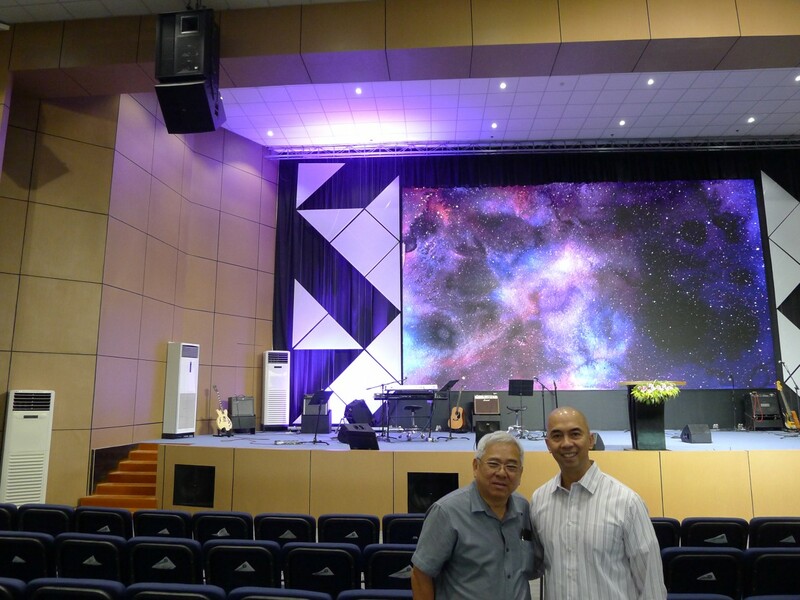 The congregation and the church has showered praises on the new audio system. "KV2 is the best audio system that I know as compared to the different brands and models that I used for more than 25 years. Dispersion is wide, clear, consistent and reliable. I am also very happy and grateful of KV2's continuing support to us that started from audio planning to installation and even in our actual use. KV2 audio is the clearest and cleanest sounding system I have ever heard. 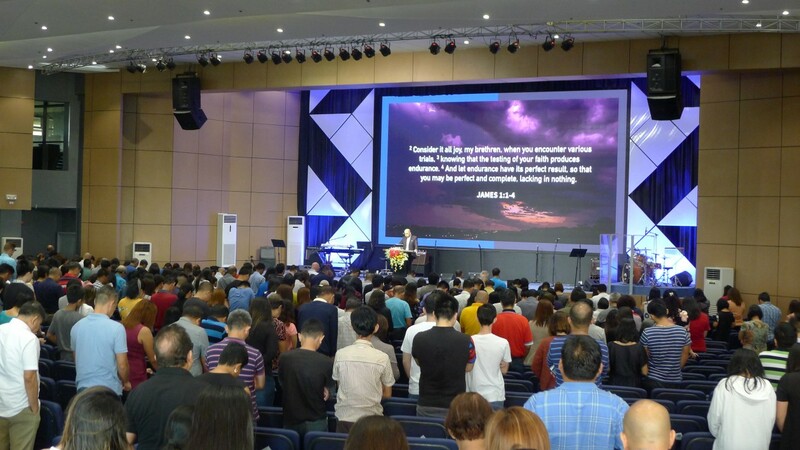 This allows us to convey God’s words and wishes to our congregation,” said a very pleased Mr Roy.S.Ricacho, Technical Team-Ministry Head.